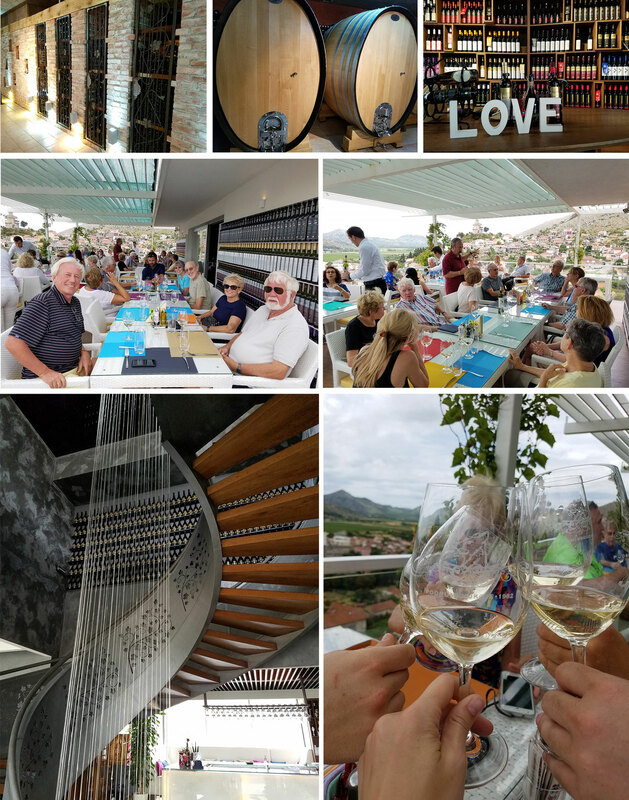 Today we traveled to Trebinje in Bosnia and Herzegovina for wine tasting, a monostary tour and delicious dinner atop a hill that over looked the entire valley. 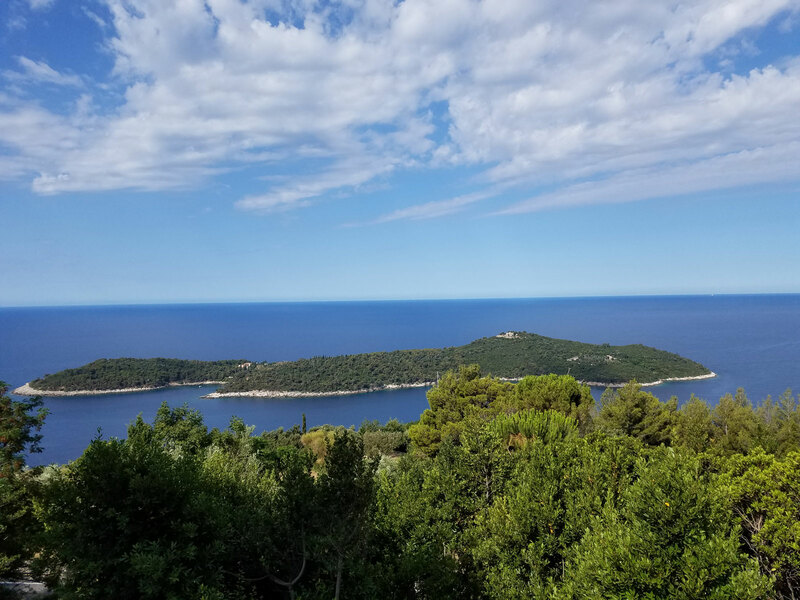 As we headed out of Croatia, we stopped for a breathtaking view of Dubrovnik and the Adriatic Sea. I can’t get over how blue it is! We have some very entertaining stories from crossing the borders but you’ll have to wait to hear those when you are on the trip with us! We arrived to Trebinje a bit earlier than expected so we had time to walk around the town. The fruit and vegetables at the farmer’s market looked devine! A bunch of us stopped at an outdoor cafe for some drinks and I personally ordered an iced coffee. Being the unexperienced traveler of the group, I was shocked when my coffee was served with a giant scoop of ice cream in it! I was told that is what iced coffee is over here, how cool! We then went to Podrum Vukoje for wine tasting and mezze which we were able to enjoy on their beautiful terrace. Do you see that view?! I could drink to that all day! 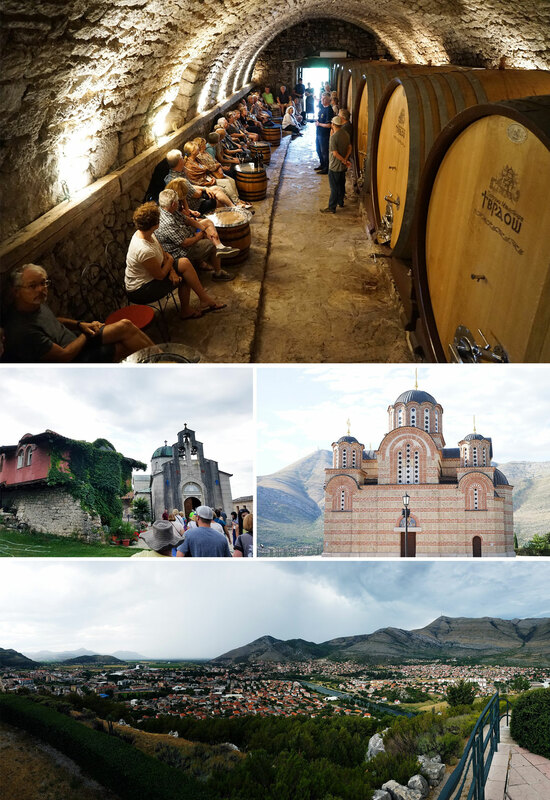 We then went on to Monastery Tvrdoš for a tour and some more wine tasting. We are definitely spoiled today! After we went to an early dinner at Gracanica Church which was absolutely gorgeous. 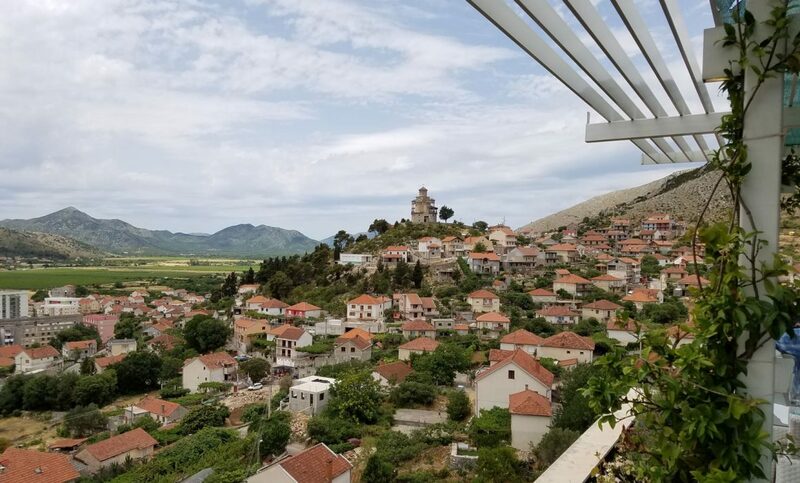 It was on a hill that had 360 degree views of Trebinje. The food was so tasty and plentiful as we have had this entire trip but it was extra special today! My favorite was their homemade sarma made with grape leaves! Overall, fantastic day! Now off to Budva, Montenegro! 3 countries in one day!